You know me, back in the war I was on the side of Karrimor. Well sort of, I didn’t go down south and throw grenades over the Pennines at Berghaus, but Karrimor hit all the buttons when it came to packs. By the end of the 90’s that was all done and dusted of course, with takeovers and buyouts on both sides. Then Karrimor story took a wrong turn after the last takeover where the name was greatly devalued by it being plastered all over cheap tat from high street sports shops. But that’s not the whole story. There’s still a Karrimor that’s designing and producing real packs, but the profile has been low and information hard to come by. So it’s with no little interest that I’m revisting my roots. In for test are two new Karrimor packs, the X-Lite 45+10 and the X-Lite 35. The X-Lite 35 is a clean lined little pack, with features leaning towrads a climbing sack or a winter day-pack. The harness is low profile with a smooth foam material on the contact surface. There’s a chest strap, top tensioners and a grab loop. The lid has outer and inner pockets, the outer with a water resistant zip. There’s an inner hydration pocket and an exit point. The back system is based around a trimmed down version of the old Fformat foam and wire pad, with the back contact area having a non-absorbent mesh with sculpted channels behind for some ventilation. 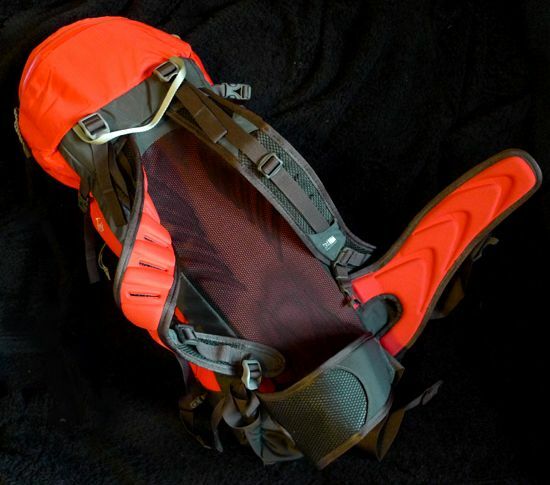 There’s twin axe attachments, side compression straps and a big external stuff pocket with stretch gussets. I can’t help but immediately compare this to the old Karrimor Hot Ice. The X-Lite 45+10 feels like an update of the old Hot Route. It was bigger than the Alpiniste, and sometimes had features like the zipped base compartment that we see here. The X-Lite 45+10 is a hybrid between a mountaineering pack and a backpacking one, so we have ice axe attachments and a rope strap, along side that zipped base compartment and expanding zipped side pockets. The lid has two pockets, and as before the outer has a water resistent zip, as indeed does the base and the two expanding side pockets. The harness is again low profile with a foam contact surface, but here there’s a back length adjust system, and the attachment points are now not unlike my 1965 Whillans Alpiniste, with a flexible join between shoulder strap and pack. The only other similar arrangement I’ve got is on the Gregory z35r, and I think it’s a good feature, the pack will sit better on a variety of body shapes. The hipbelt had an exposed plastic section that gives it form without bulk or weight. There’s side compression, chest strap, external “roll mat” attachment, and another version of the lightweight Fformat back system. The bottom section has an internal zipped divider, and I haven’t used a pack with these features in ten years at least. Why? I have no idea, and that’s going to be part of what I’m going to be discovering. Are such apparently practical features suffering from be “uncool” in these days of smooth alpine packs for all? I’ve kept the descriptions brief here, because I already know I’m going to have much more to say on these packs and I don’t want to repeat myself and/or give the game away. I’ve been picking over these packs and I’ve seen moments of design inspiration and glaringly obvious omissions. This is going to be very interesting testing these. Updates and more as we go. I really was expecting something different with these packs, using the 45+10 in particular is going to be very interesting. I’ve found Karrimor’s recent efforts (their “real” designs) don’t cut it in these areas & I’ve had to defect to American packs to get what I want (OMM don’t fit me). 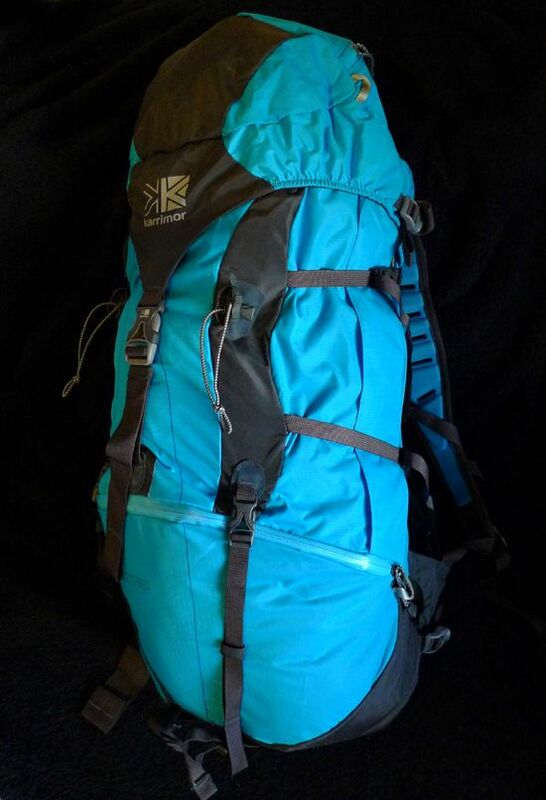 Aspects of these packs seem to be all too familiar & whilst I respect Karrimor’s resolve in continuing with adjustable backs, I fear this has been a major cause of their weight & comfort issues. Let’s hope they’ve got it right, with the 45+10. Only field testing will tell on comfort but, in the meantime, can you fill us in on the weights? Haven’t weighed them yet. But, the 35 feels a bit heavy for its capacity, and the 45+10 feels quite light for its capacity. I’ll add to that first impression with some numbers later! 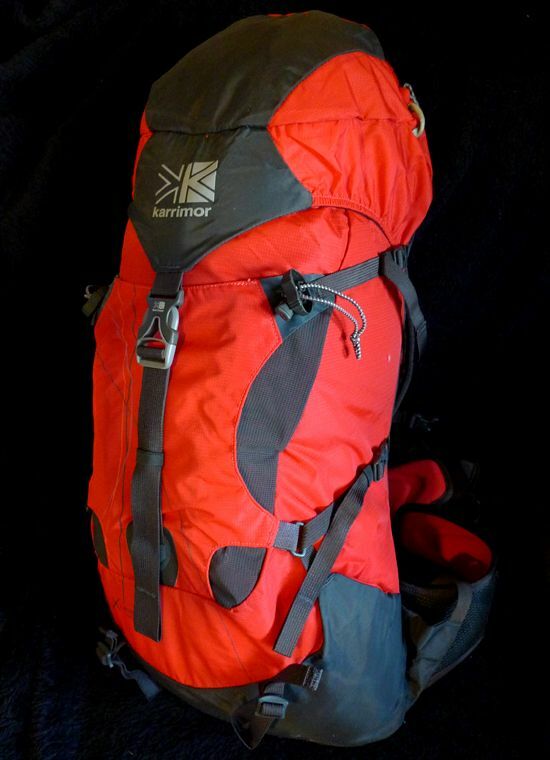 Funny you mention Karrimor packs going walking shortly with a mate who was a Karrimor junky in the 90’s. He has talked about a new sack like the old KIMM ones, as he is just getting back into walking etc. I told him the nearest thing now will be something from OMM, most likely. Strange to think that if Karrimor was still around in its old guise it would be as popular as ever with proper mountain gear. Or is that just my assumption. Nah, you’re right. You don’t see the name in the good shops any more, it’s almost like the latest owners wanted to sabotage theselves. But these packs are well made, well featured, but maybe suffering from a lack of input from pre-production testing or just feedback in general. But that should change, packs are going out for test now (obviously! ), so they’ll get feedback and hopefully they’ll react to it. Whatever the rights and wrongs or personal feelings towards branding, takeovers and the like, the more good gear out there the better, we need competition so nobody gets lazy! I have a feeling that karrimor is owned by Mike Ashley (along with Dunlop and Lonsdale) and he tends to sell only to his own shops. No, that’s exactly right. There’s Karrimor A and Karrimor B, A does the good packs as above and the good footwear as seen of the website, B does the tat in Sports Direct, Field & Trek and ebay. This is what’s damaged the brand more than anything, it means that almost nobody stocks Karrimor pack anymore as they’re damned by association. Hopefully now that there’s more reviewing happening folk will know the score better. There was also a program on the box the other night calling Mike Ashley’s production methods into question. Using “sweat-shops” in Laos to produce some of his brands. More bad publicity for Karrimor I’m afraid. And what’s the scores on the doors? How much are they banging them out for? And who is actually stocking Karrimor A these days? MDNA, I can well believe that given some of the kit in Sports Direct. 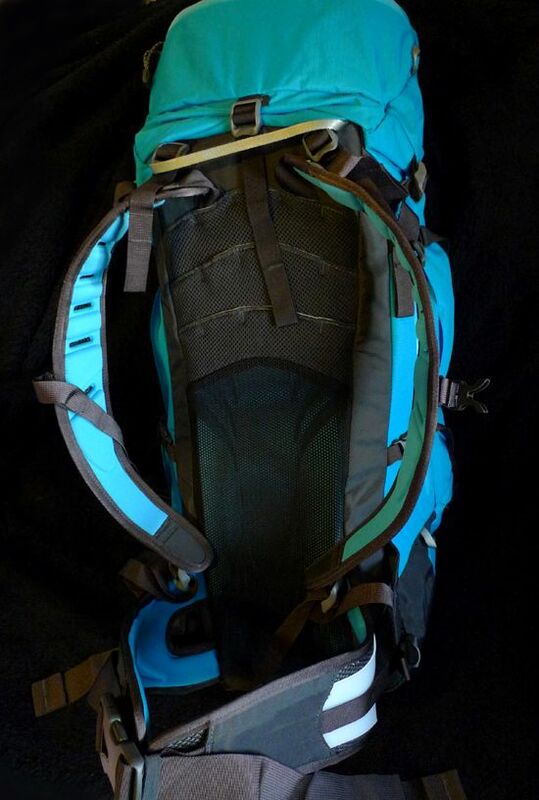 Anything I know about the background of the Karrimor “A” packs is from trade-talk, but since this stuff is a growing area of interest along with materials sourcing I’ll get the official word for when I do an update write-up of the X-Lite’s. Nevisport had the packs in, and surprisingly Ultralightoutdoorgear.com has a good range on their site, Tiso had a few as well. I don’t think it’s the quality of the packs that’s affecting store buyers decisions, it’s the handling of the brand name and the knock-on effect in the punters minds, plus poor distribution and marketing (now addressed, the new PR company have a lot of good brands on their books). It kind of proves that we aren’t all as stupid as big business would like to think. Ah, that Serac’s got side mesh pockets which I like. We’ll see what happens with Gregory over here with their new distribution. The Serac 45 looks an interesting proposition for backpacking, but its not featured on the Bramwell site, so it might not be available here. The Z45 is though – with its 3 size waistbelt and uber-lumber pad. Gregory seem to be taking a different path than eveyone else at the moment as their packs are getting heavier, not lighter. The philosphy seems to be ‘sod the weight, the carry’s the thing – and if the carry’s that good you will not notice the weight’. You found that to be the case with the X35, didn’t you? Aye David, the rolltop I tested was heavy, but it was very comfy and very stable, and I genuinely didn’t feel the extra 300g on my back.